Tap handles for the limited edition Giants Orange Splash Lager. Anchor Brewing has brewed up a limited edition beer for San Francisco Giants fans only. 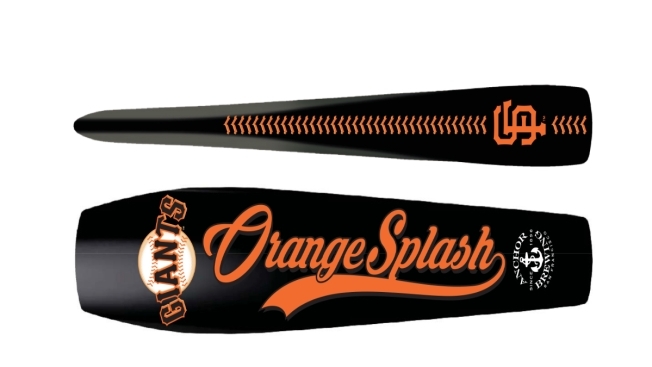 The Bay Area-based company announced Tuesday the release of Giants Orange Splash Lager, a citrus-forward beer. The beer will only be available during the baseball season and only in San Francisco. Find it on tap at the Anchor Beer Garden at The Yard (across the street from AT&T Park), at the Anchor Brewing Taproom in Potrero Hill and soon at some to be announced bars in the city.